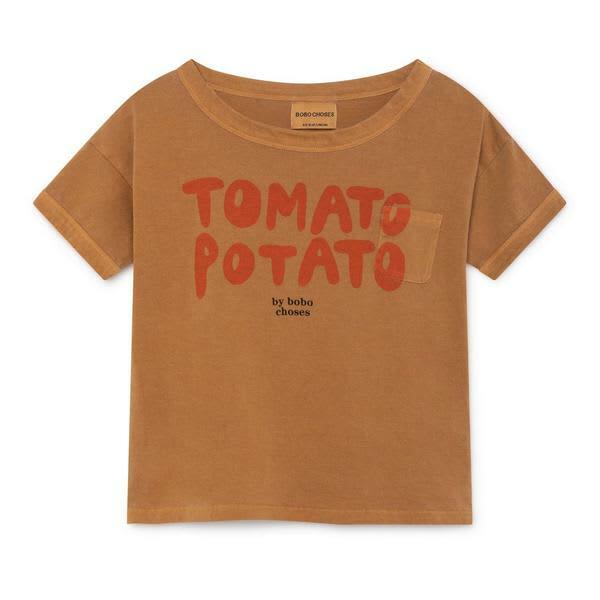 This loose short sleeve t-shirt in brown from Bobo Choses is made of organic cotton. Featuring a print with the words Tomato Potato on the front with dropped shoulder. This t-shirt is part of the new Spring Summer 2019 collection To Make a Garden.